2018 is upon us! And what better time to update your wardrobe with the latest trends than the beginning of the year? 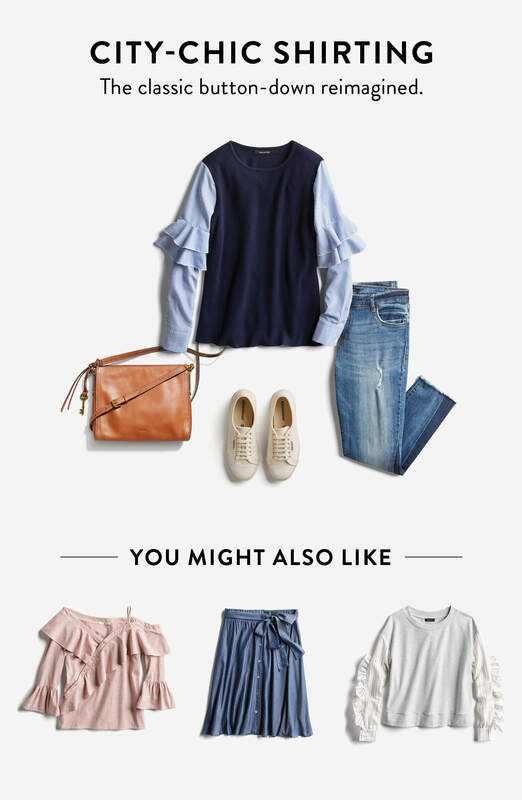 Whether you're looking to mix things up with fresh new styles, or if you know your personal style like the back of your hand—see the trends we can't wait for you to add to your closet. Really, have you scheduled your next Fix yet? Hit the ground running with our favorite 2018 trends! Make the morning commute your runway with edgy flares of detail on the classic button-down. We’re not saying you have to wear a literal piece of modern art, but these fun details will definitely make you feel like one—as every modern woman should!! Try layering! A sweater vest underneath a detailed button-down is an edgy way to elevate your office look this 2018 and still stay polished and professional. It’s all in the details. Whether it’s bell sleeves, fringe or a fluttery hem, opt for a button-down with an interesting twist. Then let the compliments pour in. For us, stripes will always cut it, but in 2018 expect to see (and wear!) a whole lot of spots. It’s a fun twist on our classic favorite. Not to mention, figure flattering on every shape, size, age…you get the picture. When it comes to polka dots, play with texture! A polka-dotted sweater is a great casual staple over jeans or a statement piece for more elevated looks. Sometimes the classic striped pattern just feels…so 2017. It’s a new year! 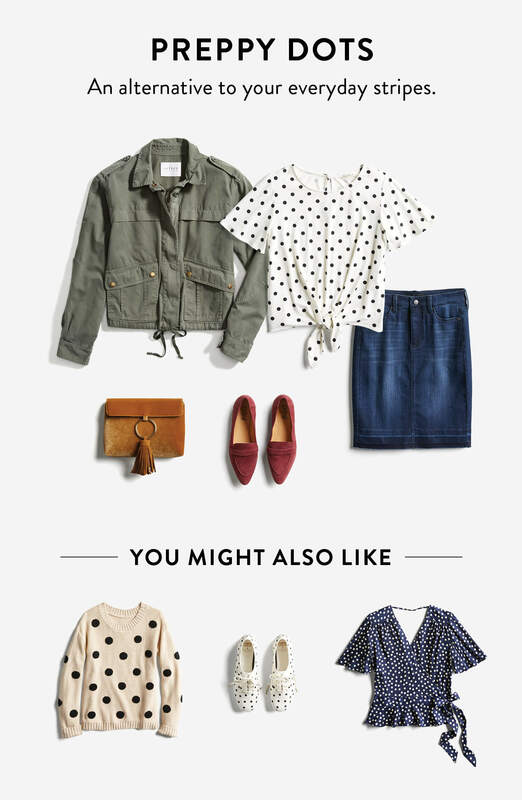 Try swapping stripes for polka-dots next time for a sweet look that feels retro, not passé. Finally, a fashion trend that lets us wear leggings and hoodies freely! Make everyone think you’re sporty spice (did someone say ‘go to the gym more’ for their New Year’s resolution?) with this super comfortable 2018 trend. Running to the gym? Running errands? Running to the couch? Athleisure covers it all! Try pairing your athleisure looks with more elevated accessories (like a leather backpack) for a comfy look that is still clean and polished. 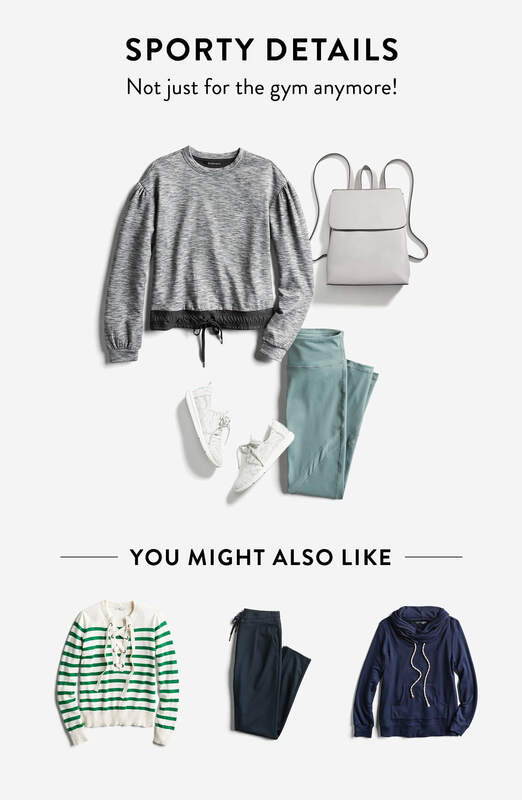 Try pairing a bright color or interesting pattern with a more neutral piece, like green leggings with a heathered grey pullover. Why wait for spring to break out the florals and pastels? It’s 2018! The future is now! Wear pastels and florals whenever you want! And just your luck, it’s a hot trend. 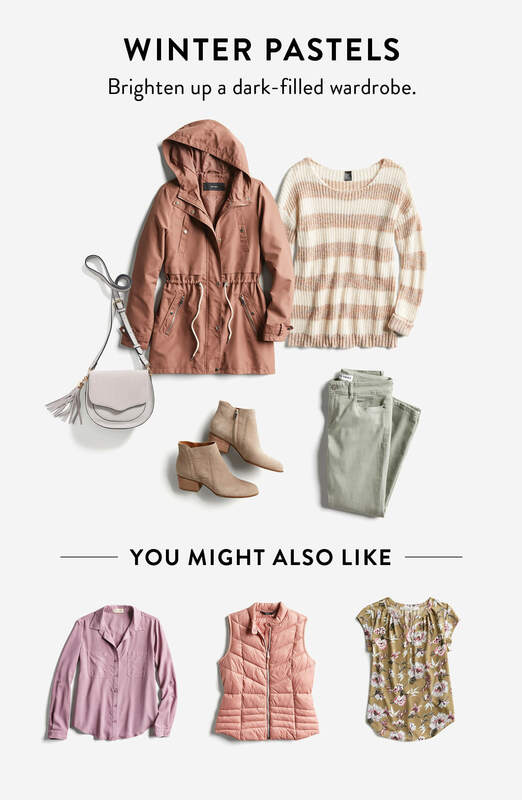 Try adding a pop of pastels to your wardrobe this winter! Make a statement with a faded orange vest layered over a striped sweater. Dying for warmer weather and spring flowers? Let your outfit do the talking! Stay on trend in pretty pastels and floral prints while dreaming of sunnier days to come. No matter the forecast for 2018, the hottest trend to embrace this year? Yourself. The new year doesn’t have to mean a new you—we like you just the way you are! But, a little closet addition to embrace your best self this year doesn’t hurt either. What trends are you excited to embrace this year? Tell us & don’t forget to tell your Stylist too!